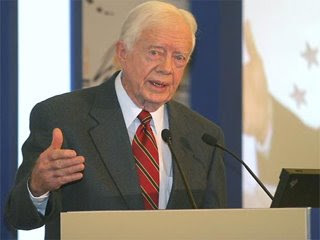 ex-U.S. President Jimmy Carter to Harvest Coca with Bolivia's President Evo Morales? In La Paz this Saturday, former U.S. President and Nobel Peace Prize Laureate Jimmy Carter accepted an invitation from Bolivian ruler and coca grower Evo Morales to harvest coca leaves on the Andean ruler's rural property in the El Chapare region (Central Bolivia). "I hope that my next visit I will be able to go to El Chapare, where he (Morales) is going to take me to harvest coca leaves," thus affirmed the former head of state, with the help of an interpreter, during a press conference together with the Bolivian head of state, after a private meeting at the Government Palace. The former U.S. head of state, already into his presentation, accepted the invitation. 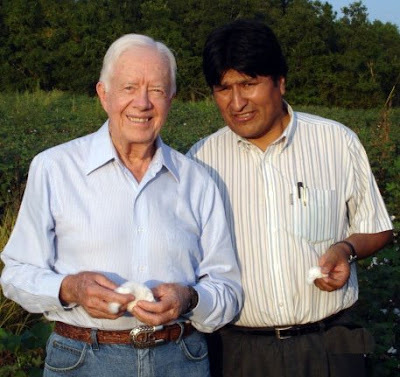 "Given that President Morales has been to my property, and evidently has harvested some peanuts, I hope that on my next visit I can go to El Chapare, where he is going to take me to harvest some coca leaves," responded Carter, which also drew a smirk of happiness from Morales. If true, this report takes former President Carter into entirely new territory: active support of the production of the ingredient for crack and powder cocaine. Confusingly, the Globovision headline reads: "Former U.S. President Carter accepts invitation to plant coca in Bolivia"
Is it plant or harvest? We don't know. And we hope that this is a hoax from Venezuela. There should be television coverage of the La Paz event, so this incident bears further investigation. If true, this represents a historic low for an ex-president. This commentary in this article shows that you have a vast misunderstanding of coca and its uses. By referring to Carter's excursion as "active support of the production of the ingredient for crack and powder cocaine," you simply make yourself look ignorant and stupid. Coca is used throughout the Andes much like coffee is used in the United States. It plays an important role in the economy as well as in Bolivian culture and society. Coca has been PROVEN nutritious and has many uses in medicine. You will be interested to know that many UNITED STATES pharmaceutical companies use coca and its derivatives in anesthesia. I hope next time you will read up on the subject matter before injecting your ignorant commentary into the story. The article appears with the name A.M. Mora y Leon, which appears as the author in numerous articles within 'American Thinker'. Larrey Anderson, submissions editor, is a writer and philosopher. 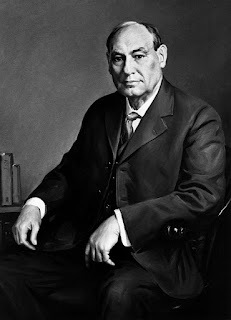 He studied comparative religion, philosophy, and law at Harvard, Penn State, and Catholic University of America. 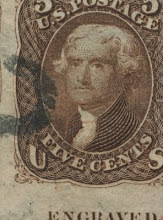 He served three terms as an Idaho state senator including a stint as chairman of the Health and Welfare Committee. He retired from the senate for health reasons. He has written four books. Such laxity with such ignorance does not reflect favorably upon such educational institutions, let alone any government affording him a chairmanship to any sort of 'health' related body for apparently not noting of the differences between Coca leaves and refined cocaine.